Two prospective approaches to pain management use lasers to either release local anesthetics at the site of an injury or block pain signals. Preclinical studies using the techniques, conducted by researchers at Boston Children's Hospital and at the Massachusetts Institute of Technology, may help address a major concern of the field of pain medicine: how to provide patients with localized and personalized control of surgical, traumatic or chronic pain. "Current approaches to postoperative pain rely on systemic analgesics, especially narcotics, which come with side effects and risks of tolerance, addition and diversion," said Daniel Kohane, a physician at Boston Children's Hospital and director of its Laboratory for Biomaterials and Drug Delivery (LBDD). "While there is extensive literature on targeted drug delivery, the technologies developed to date are either on or off; they cannot be adjusted or repeatedly triggered to provide a desired, durable level of analgesia. Our goal was to engineer an approach to pain control that, once administered, could be triggered as needed." 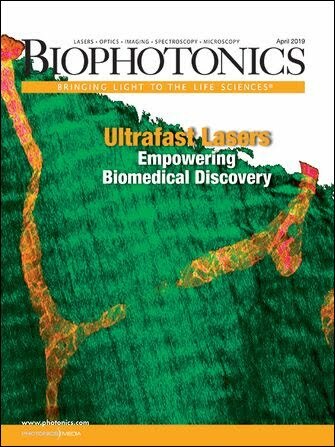 Both techniques rely on lipid microspheres carrying tetrodotoxin, a potent local anesthetic, and a laser producing a focused beam of near-infrared (NIR) light able to penetrate tissues without causing direct injury. In one method, reported in the Proceedings of the National Academy of Sciences (doi: 10.1073/pnas.1518791112), the microspheres also contained a photosensitizing agent that, when exposed to laser light, produces molecules of reactive oxygen. The microspheres the other method, described in Nano Letters (doi: 10.1021/acs.nanolett.5b01325), were embedded with gold nanorods that heat up when targeted by the laser. In both cases, the microspheres' surfaces became permeable when exposed to the laser, allowing the drug to escape. Once the laser is turned off, the microspheres reseal, retaining the rest of their drug payload for later triggering. In the PNAS study, lead author Alina Rwei, a graduate student in the LBDD and MIT department of materials science and engineering, blocked hindpaw pain in rats by injecting the photosensitizer-containing microspheres near the sciatic nerve (which transmits pain signals from the lower limbs to the brain) and testing the animals' reactions when stepping on a heat source. The team found they could tune the level and duration of pain blockade by changing how frequently and for how long they exposed the injected microspheres to the laser beam, as well as the intensity of the beam. For instance, by repeatedly triggering the microspheres, they found they could block pain signals for approximately 24 hours. They also found that the microspheres could be triggered for up to two days after injection. "The photosensitivity of this system is fairly high, so you only need a relatively low light dose to trigger anesthetic release," said Rwei. "This allows you to go deeper into tissue without harming the tissue with the laser itself." In the Nano Letters study, lead author Changyou Zhan, a fellow in the LBDD, injected gold nanorod-modified microspheres containing both tetrodotoxin and dexmedetomidine (which prolongs the effects of tetrodotoxin) directly into the footpads of rats and tested the animals' reaction to mechanically induced pain. As with Rwei's experiment, Zhan and his colleagues found they could trigger pain control by repeatedly exposing the rats' nanosphere-injected paws to the NIR laser for up to five days. "By loading two drugs into the same system and phototriggering the release of both simultaneously, we're able to prolong the duration of and increase the intensity of local anesthesia," said Zhan. In neither study did the investigators find any signs of tissue damage caused by the laser, the microspheres or tetrodotoxin. Both techniques need to be refined and optimized, the researchers said. Kohane envisions applications where patients would receive an injection of anesthetic-loaded microspheres at the site of pain and be sent home with a laser device. Upon experiencing discomfort, the patient would use the laser to trigger anesthetic release until she or he achieves a desired level of pain relief. "If we can translate these technologies to patients, it could change dramatically the way we approach postoperative pain care by providing pain relief that doesn't involve narcotic agents and which doesn't have to fade away within a few hours," Kohane said. "And in my mind, pain is the low-hanging fruit. There are many clinical situations and applications where repeated, modulated, on-demand drug release would be desirable." Both studies were supported by the National Institutes of General Medical Sciences. The Technology and Innovation Development Office at Boston Children's Hospital has filed a patent application covering both technologies.